Making last minutes confirmation for bus is a herculean task. If you are looking for a possible way out, then contact Chqx Holidays. 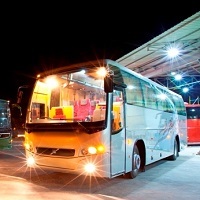 We are known for offering professional Bus Ticketing Services at the most reasonable prices in Bhubaneswar. Whether you want a lower berth, or a special seat sequence, our Chqx Holidays experts will make it come true without nay hassle or so. Once you have approached Chqx Holidays, be assured 100% satisfaction ahead.